Golds and Metallics are Hot for Fall! 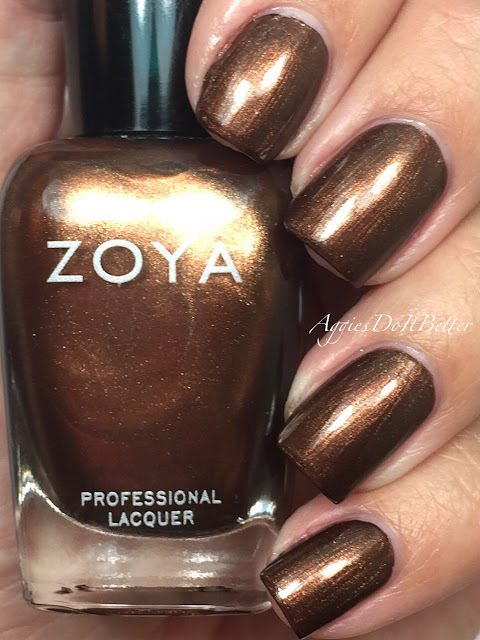 Zoya Cinnamon and Aggie were featured on Beauty Riot recently as the new nail colors of fall 2015 that are so good. The Golds and Metallics for fall are the warm, fuzzy feeling of a crisp autumn night with a touch of sparkle. Cinnamon is a classic bronze liquid metal and Aggie is a gorgeous gold holo flip liquid metal with bronze micro glitter.